I always take my laptop with me when I go on trips. It does not really matter if it is a weekend city tour, a business trip, or a long vacation abroad. Even on holiday, I need my laptop around as I need to be prepared to fix things that go wrong on my websites or servers the sites are running on. And for that, I prepare my laptop before I go on the trip. There are a number of things that you can do to improve your privacy, and the security of your data at the same time. This guide looks at some of the things that I do before I go on a trip. You may ask yourself why you should go through all that. I have a number of reasons for you. First, your laptop can get stolen or lost. If you do not protect your data on it, then someone finding it may use it against you, sell it, or leak it on the Internet. While that may not be a big issue in some cases, it can be in others. Another issue is data snooping. If you are staying in a hotel and using the hotel's infrastructure to connect to the Internet, other's may be able to record the data flow, and if things get really ugly, break into your laptop while you are connected to the network. There is also the question whether you want airport security snooping through your data during check-in, or if you'd prefer them to not find a thing while they do that. Encryption protects data from unauthorized eyes. If you use a strong password or phrase, it is more or less impossible to hack into encrypted storage right now, provided that the algorithm or program have no weaknesses. When it comes to encryption, you have two options. Full encryption of the system, or encryption of part of the drive. Full encryption may look like the better option here, but it also may attract more attention. Partial encryption can't be easily spotted if done right, but may leak some data if the operating system itself is accessible directly. If your Windows system supports it, you can use Bitlocker for that. Everyone else may use the Open Source software True Crypt instead. You can create an encrypted container easily on the drive and move all of your important data into it. Moving the container into a large directory, like Windows, and naming it in a way that does not reveal its purpose, can improve security furthermore. 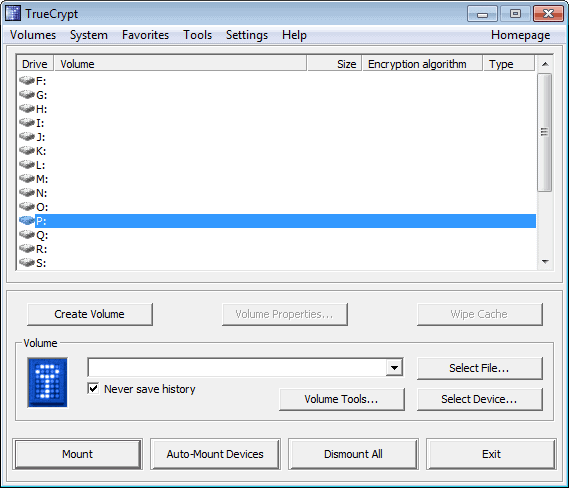 You may also consider removing True Crypt from the laptop again after you made the installation, to avoid giving clues to snooping airport personal. If you are staying in a hotel and using the hotel's infrastructure to connect to the Internet, you should use a virtual private network on top of that to secure your connection. This basically encrypts your connection and protects it from snooping users in the same network. The most effective way is to configure the VPN when you are at your destination, and not at home. It won't make a big difference if it is just your personal laptop that you are taking with you on the trip, but if it is a work laptop with important data, you may want to avoid drawing attention to that. Click on the network icon in the system tray area, and select Open network and sharing center. If you do not have an icon in the system tray, click on start, enter network in the search form and select the control panel applet this way from the results listing. 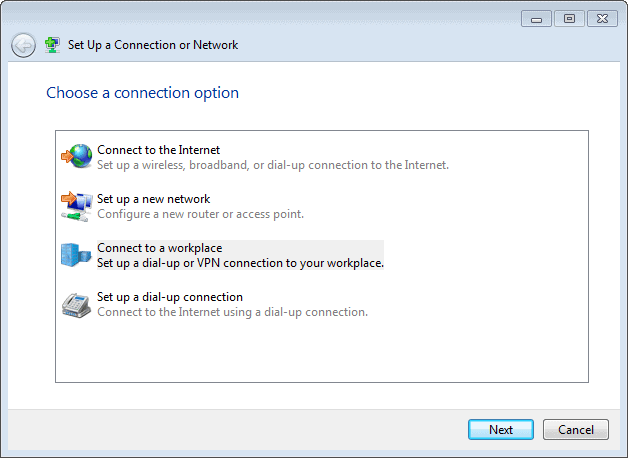 Select Set up a new connection or network, and there the connect to a workplace option. Select Use my Internet connection or dial directly, depending on how you want to connect to the VPN. If you select the first option, you are then asked to enter the Internet address of the virtual private network. This can be a domain name, or an IP. Enter the username and password on the next page, and the optional domain if required, and complete the set up process. To set up a VPN, you only need to remember the domain, username and password. I would not advise writing it down though, or storing it anywhere on the computer. Test the connection at home to make sure that it meets your requirements. Some VPN services offer trials which you can use for that. If you store your accounts in your web browser, they become accessible by anyone who can start the browser on the system. You can get around this by storing your log ins in the encrypted space on your laptop. 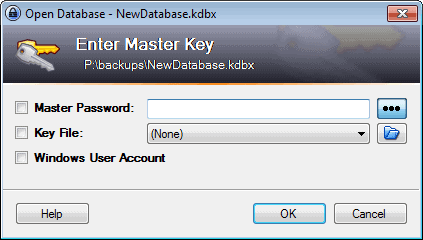 For that you can use programs like KeePass and place the program along with the password database in the encrypted storage there. This ensures that no one who is taking a look at your laptop sees that you are using a password manager, and that your logins are protected if your laptop gets stolen. While it may not be as comfortable as using a built-in browser password manager, or a plugin like Last Pass, KeePass may be the better solution nevertheless as its existence can be hidden on the PC. If you use Gmail, Yahoo Mail, Hotmail or any of the other email services on the Internet, you do not really need to do anything besides the steps outlined above. When you want to open your email account, you basically open the email provider's site in the web browser, and use the password manager to log in. If you use a desktop email client, you need to take extra steps to protect the data from prying eyes. The best way to do that is to move the storage into the encrypted container on the drive. You could combine that with a portable version of your favorite email client, e.g. Thunderbird portable, and put the program as well into the encrypted storage. You can also use a program like Mailstore Home to remove excess messages that you do not longer need to reduce the size of the mailbox. You may have other requirements, an sftp or scp client for instance, a messaging app, Skype or another voice over IP solution, or an Office suite. Some programs may leak information when they are opened. Office for instance may display a list of recently opened documents. If one of those documents points to the encrypted storage, you may have some answering to do. Running a program like CCleaner before you take the trip, and before you make your return, is a good idea to remove those hints from the system. You may also want to consider running Eraser to overwrite all free space on the laptop's hard drive to render file restoration software ineffective. Other programs, like WinSCP for instance, can store remote server information so that connections can be made more easily. It is best to move those programs in the encrypted space on the drive to protect the data from being leaked. One of the easiest options here is to remove the system completely, and replace it with a default system. If you combine that with a program like Eraser (Linux users see here), you have got nothing to worry about when you pass airport security. Have additional tips or recommendations? Then leave a comment below and join the discussion. Previous Post: « Boot To Gecko, Something To Get Excited About? Good tips there. Btw, could you please reveal what brand laptop you are using? My current laptop is an Acer, but I will soon switch to a MacBook Pro once the new refresh comes out. The US government can force you to reveal your password for encryption at the border. They will also take a copy of your entire hard drive if they feel the need to. I’m sure other governments can too. I personally use easy-hide-ip.com for my VPN. It’s extremely cheap and it gives me the advantage of hiding my IP address too. I also make it a habit to use a “travel” Gmail account where all my emails are forwarded to during travel. I than change the password the moment I get back home. You forgot to mention a very sensitive issue nowadays: copyright infringment. I would like to hear knowledgeable comment on that. By instance, installed software licenses, and media files you could have in your laptop. People going from third world countries to US need to be aware of that too. For what I read from the EEF (Electronic Frontier Foundation) they can not force you to give them your password. However, if you don´t cooperate, they can take your laptop for further analysis (or password cracking, more likely!). Matias, the issue here is that they may hold you for a longer period of time if they spot password protection. If they do not spot anything, it is less likely that you will be held for questioning. Yes, indeed. I was just telling (the other) Martin that you do not need to give your password in the U.S., at least at the border. However, I recall there was a recent discussion, related to their Constitution´s Fifth Amendment, about whether or not a court of law could force you to reveal your password. I’m really forgetful at times. Makes me think about leaving my laptop at home for holidays… also a break from the computer might be not such a bad idea sometimes. I used to be a regular visitor to the U.S., but I now place it in the same league as Iran and Saudi Arabia for ease of entry and no longer bother. Going to China is now less of a hassle, IME, which is a sad. Very informative article. Though I must say, more than ninety percent of public will only use computers to play movies, check emails and chat, they will never realize the full potential of this machine. Your data is safe most of the time. But yes, one needs to be careful. I am using Windows Vista . How can I download Acrobat Reader software without VPN? Because I am living in Iran and can not download Free software such as Acrobat Reader. Have you tried downloading it from software repositories like Softpedia instead? Or is the file name blocked? Any VPN service you recommend apart from Giganews/VyprVPN you are using? I’m living in Hong Kong but feeling more and more unsafe about my Internet access. Thanks a lot! I currently can’t recommend any, but plan to test a few soon and compare them with each other. But that will take some time. If you have services that you would like included in the test let me know. I have a pretty fast internet connection at home, so I installed OpenVPN on my router and connect to that. It works great, and has the secondary advantage of allowing access to all my home media, etc. If you’re running a VPN, you probably take your anonymity seriously. This article at Torrentfreak.com may be of interest– they interviewed all the major VPN providers to figure out which ones retain logs. They primarily approached it as a “avoid letters from the MPAA” approach, but it also applied while traveling abroad and, depending on your degree of paranoia, at home, now that the US government spies on its own citizens without probable cause. Also there’s always TOR, although it’s pretty slow. If you travel frequently, you’re better off with a VPN. The reasons you gave for preparing one’s laptop before going abroad makes perfect sense. This is a very helpful post, thanks for sharing. Aside from preparing your laptop before going abroad, you should also consider BYOD security for other devices that may sync up with your laptop. Read our post to stay in the loop. Oh, I simply have a basic laptop, nothing on it but a VPN to my home router RDP to my PC at home ;) Basically means nothing on my laptop. Sure it limits my laptop to online only, but it beats all other issues.